As per the Food and Agriculture Organization, 43% of the food produced in Asia Pacific in 2014 was wasted, leading to huge financial losses for both manufacturers and retailers. Thus, the need for efficient packaging which offers long life and maintains the quality of products was felt. This gave rise to the demand for aseptic processing and the market for this technology is projected to witness a high growth in the years to come. The growing preference for eco-friendly packages is behind the high demand for aseptic processing technology, despite their complexity when compared to terminal sterilization or canning. A surge in the demand for convenience foods and pharmaceutical supplies is boosting the growth of the aseptic processing market. Aseptic processing enables longer shelf life and thus, in demand. As the disposable income of consumers is increasing, their spending capability is also growing, creating a heightened demand for various products, driving the global aseptic processing market. Players in the market are expected to witness a stupendous growth as they increase their already large production capacities. The increased demand for aseptically packaged goods has compelled manufacturers to expand their business and production capacity. The cosmetics and dairy sectors are two areas demanding aseptic processing increasingly, thus pushing the growth of the market. The dairy industry is witnessing robust growth on account of the high demand for varieties in terms of flavors, which is benefitting the aseptic processing industry in turn. Aseptic processing is referred to as the methodology through which sterile or aseptic products, mainly pharmaceutical and food is packed in a sterile container which would efficiently maintain its sterility. Sterility is obtained through a process of flash heating between a temperature of 195 and 295 degree F which recollects more nutrients and employs less energy than the traditional form of sterilization methods such as hot-fill canning or retort. The method of aseptic food preservation allows the storage of processed food for elongated periods without the use of preservatives. These type of aseptic packages are generally a mix of aluminum, polyethylene, and paper. Collectively, these materials form a constricted seal against degradation, contaminants, microbial organisms, thus removing the requirement for refrigeration. The products which packed using aseptic processing are tomatoes, gravies, liquid whole eggs, fruit juices, and milks. The market intelligence report investigates into the conceivable growth prospects for the aseptic processing market and the sequential growth of the market during the course of the forecast period. It also exclusively provisions the mandatory data related to aspects such as the dynamics manipulating the progress in all possible reflective manner. Numerous pervasive and non-pervasive trends have also been stated in the report. An outlook of extensive nature keeping in mind the Porter’s five forces analysis has been provided to make the vendor landscape transparent to the reader. The report further points out several activities related to R&D, mergers, acquisitions, and crucial conglomerates and corroborations. The companies in attention have been examined on the basis of market shares, prime products, and key marketing strategies. The global aseptic processing market is likely to witness exponential growth over the forecast period owing to rising focus on environment-friendly packaging and improvement in technologies and equipment in the packaging industry. 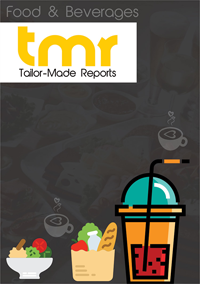 The market is also expected to be benefitted by the mounting need for pharmaceutical supplies, growing demand for quality and convenience food products, and significant progress of the dairy beverage market. However, the market is expected to be negatively impacted by the high initial capital investment required for buying equipment and the need for advanced understanding of the technology in question in place forms of packaging forms. In terms of packaging, the segment of paper and paperboard is expected to lead the market in the coming years. This is because, paperboard can be easily cut and processed and is both strong and lightweight, thus making it an ideal material for packaging. Paperboard packaging is available in different grades with unique qualities. The grades are thus chosen on the basis of the respective packaging requirements. Developing countries such as Argentina, Brazil, India, and China are likely to contribute significantly to the revenue of the global aseptic processing market in the coming years. The growth of the markets in these countries can be primarily attributed to the hectic lifestyles of consumers and their shift towards processed and ready-to-eat meals, growth in household incomes, and favorable demographics. Equipment manufacturers and suppliers are focusing on offering innovative equipment in different categories along with integrating processing equipment. They are also diversifying the product offerings to strengthen distribution base. Some of the leading companies are JBT Corporation, Greatview Aseptic Packaging Co. Ltd., GEA Group, Amcor Limited, Becton, Dickinson and Co., GEA Group, Tetra Laval International S.A., E.I. Du Pont De Nemours and Company, and Robert Bosch GmbH.